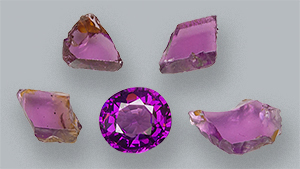 Campbell Bridges mined tsavorite garnet in Kenya near Tsavo National Park. 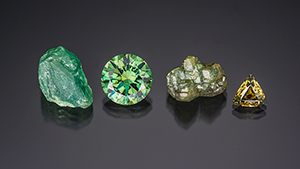 The imperial Russian jeweler created intricate jewelry designs for demantoid garnet. A stylish red garnet bead necklace found in a grave in Egypt is more than 5,000 years old. Figuring out how each new gem garnet fits into the six main mineral species is a challenge for gemologists. 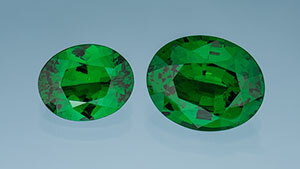 Horsetail inclusions in green demantoid garnet are one of the few internal features that increase a gem's value. Due to demantoid garnet's high dispersion, well-cut, fashioned gems display an amazing amount of fire. 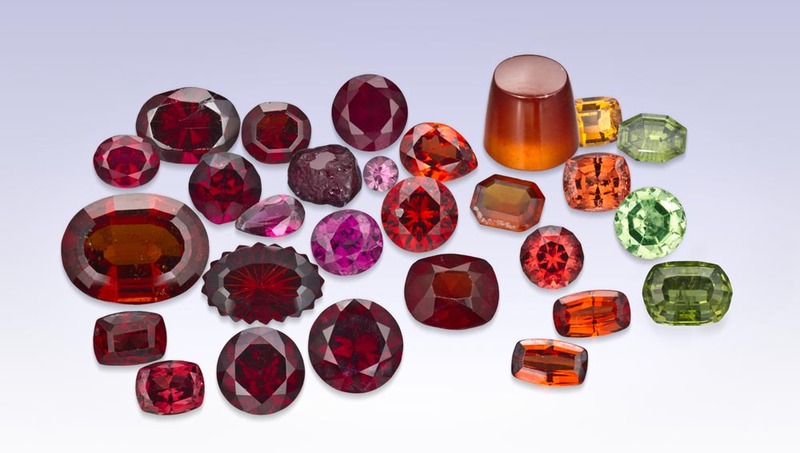 When deciding which garnet to buy, think of garnets in terms of color. 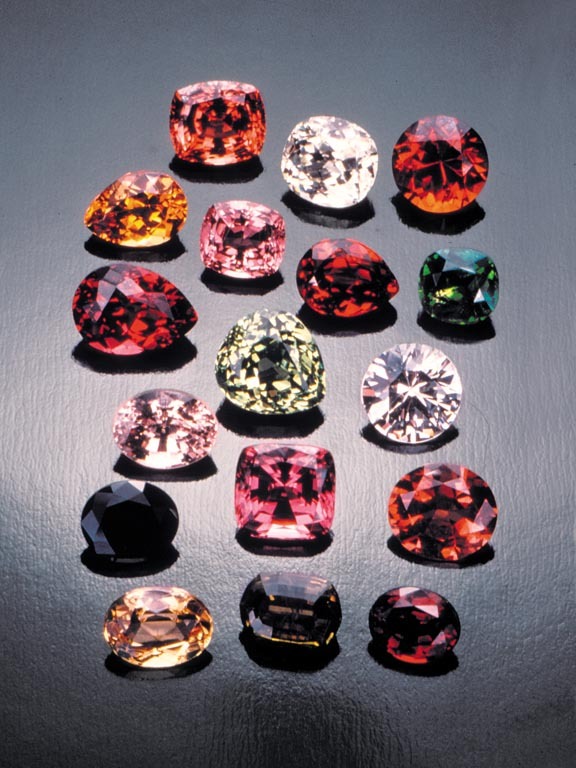 Garnet includes affordable dark red varieties, rare and valuable greens, and many colors in between. 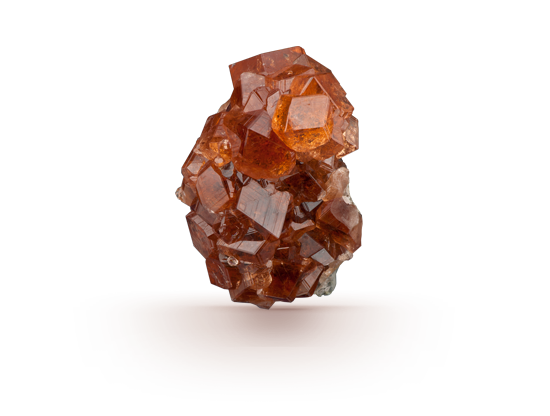 Garnet clarity often depends on garnet type. 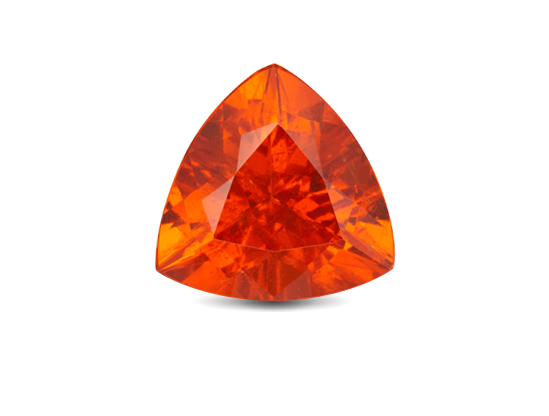 Red garnets often don’t have eye-visible inclusions. 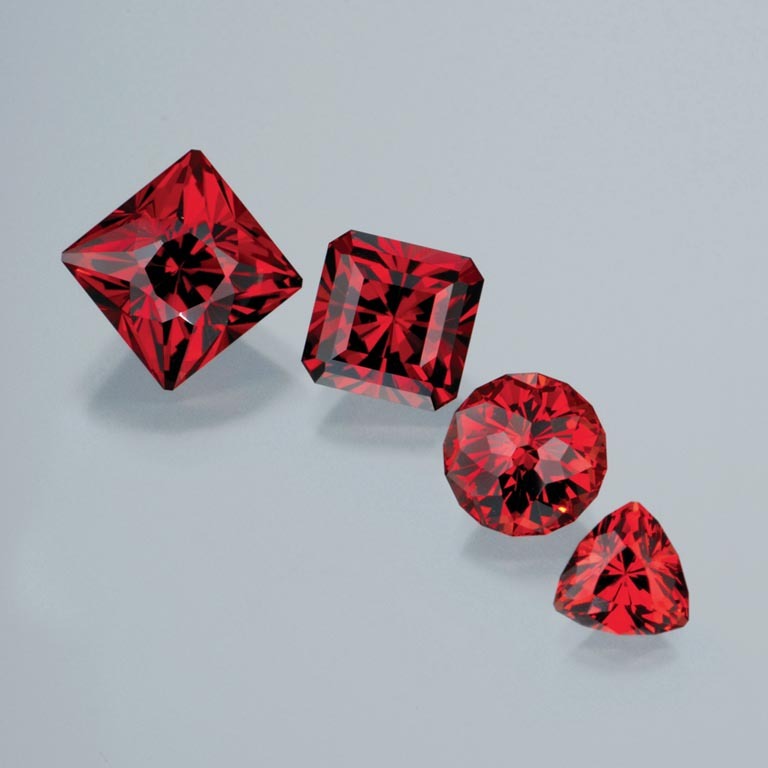 Many garnets are cut into standard shapes and calibrated sizes to allow setting into manufactured jewelry. 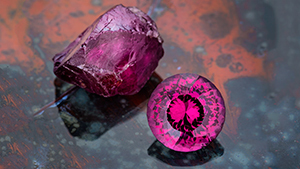 Garnets can be found in all sizes and weights, although some varieties are rare in large sizes.